Price is not bad for $3.99. Calories are horrific at 750! 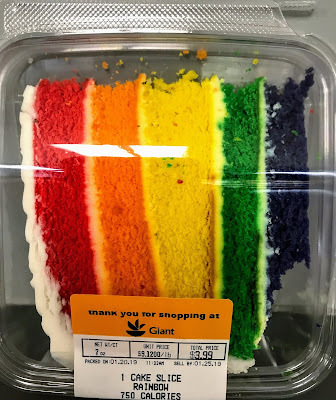 What happened to the broken blue part of the cake at the bottom--maybe that's where another 50 calories got lopped off. 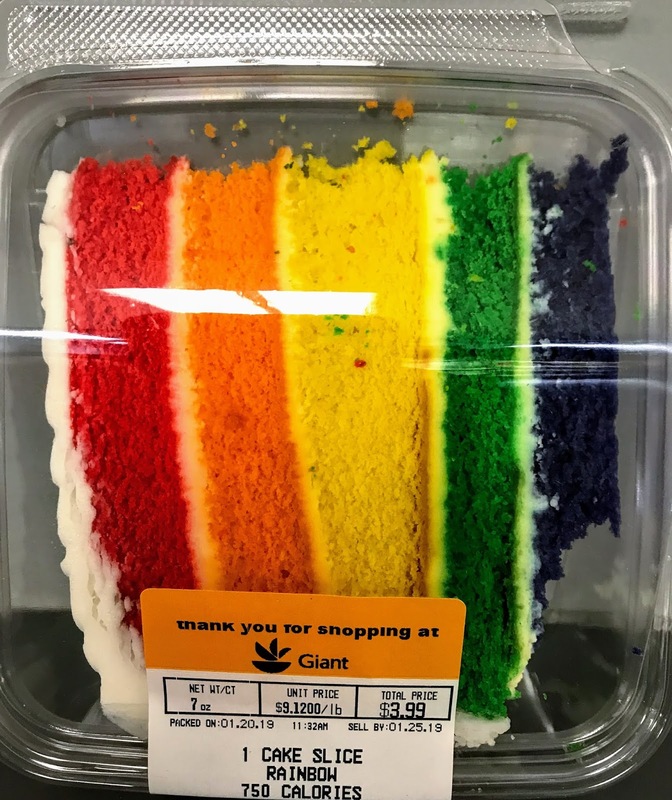 Anyway, it's Friday and I want to wish everyone a happy Rainbow Cake weekend and a Shabbat Shalom! 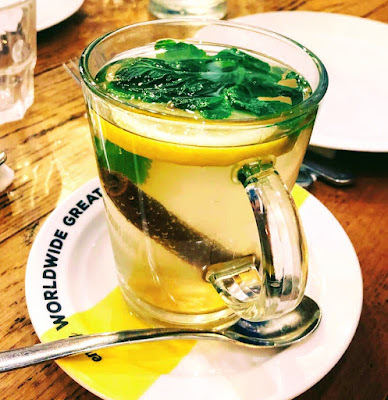 So my daughter went out for dinner in Israel and she sends me this photo of an amazing cup of tea. What's so great is you can actually see the cinnamon stick, mint leaves, and lemon and ginger slices. It's completely fresh and healthy, and not just from a tea bag or minced up tea in a tin. To me, this looks absolutely appetizing and delicious!